As climate disaster looms, the Democrats are dodging the issue. Only a mass movement demanding action can force them to change. No one’s in danger of running out of reasons to oppose Donald Trump soon: the frequent racism, the cruel and discriminatory policies, the empowerment of Washington’s foremost bloodsuckers — the list could go on. Perhaps none has more urgency, however, than his environmental policies. Since winning the presidency, Trump has not only gone out of his way to hand stewardship of the environment over to members of Captain Planet’s rogues gallery; he’s made reversing Obama-era environmental measures a top priority. His administration is currently operating under the assumption that apocalypse on Earth is inevitable, and is using that to justify slashing even the most minor regulations. So it’s essential for the Democrats to win in November, not just to keep the natural world from being fed through the shredder, but to truly start the process of reversing the march toward catastrophic climate change through bold, decisive action. Except the Democrats don’t seem so sure about that last part. Asked by the Hill about their plans for climate legislation if they win the House majority, various Democrats demurred. 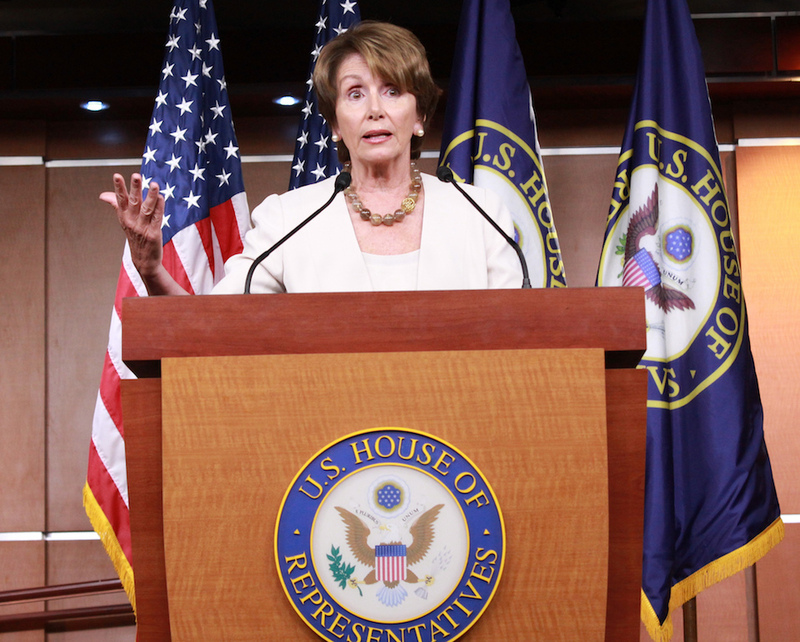 House Minority Leader Nancy Pelosi simply declined to say anything. Gerry Connolly, partly citing possible backlash from the Right, suggested an “opportunistic strategy” while working toward “aspirational goals” in the long term. Paul Tonko, a New York Democrat and ranking member on the House Energy and Commerce Committee’s environment subcommittee, likewise suggested “ancillary pieces” that reinforced “concern for climate change” were the way forward. In fairness, with Trump in the White House and continued Republican control of the Senate looking likely, getting anything major passed would be tall order, if not impossible. Even some of the environmental organizations interviewed by the Hill agreed with the Democrats’ planned approach. But this lack of priority for climate change — and fear of a right-wing backlash toward such legislation — is emblematic of a Democratic party that doesn’t seem remotely prepared to meet the rapidly approaching threat of climate breakdown. Democrats are largely avoiding talking about climate change in advance of the midterms, as it’s “divisive.” Only a few months ago, the Democratic National Committee reversed an earlier ban on fossil fuel donations. The only prominent Democratic politician currently talking about a Green New Deal is Alexandria Ocasio-Cortez; none of the party’s potential presidential aspirants have taken up the policy (except Tulsi Gabbard, whose climate legislation has been called called “the strongest yet introduced in Congress” by Food and Water Watch). Not even Bernie Sanders has taken it up — though he does have a relatively ambitious and detailed climate change platform. This is all particularly frustrating given that it was barely three weeks ago that the Intergovernmental Panel on Climate Change’s report sent a shiver of existential dread down the world’s collective spine, laying out a strict (and probably overly generous) time limit for how long we have to reverse the current disastrous course. This was clear enough back in 2015-16; now it’s simply unavoidable. It’s true that major climate change legislation wouldn’t go anywhere for at least the next two years. But that’s not really an excuse. Sanders’ stewardship of Medicare for All, including his championing of the concept in speeches and his introduction of a bill in the Senate, has demonstrated how political leaders can drum up support for a policy, as well as shift the national conversation, even when they’re out of power. There’s no reason a political leader can’t do the same with a Green New Deal. It’s not as if the idea is unpopular. According to recent polling by progressive think tank Data for Progress, 55 percent of respondents support a green job guarantee — which would involve weatherizing buildings, constructing mass transit, and implementing renewable energy — and more respondents opposed it when the green component was taken out. This is in addition to the majority support by most Americans for a variety of other common-sense environmental measures, such as vehicle fuel efficiency standards and the Clean Air and Clean Water Acts. Using this issue as a rallying cry the way some Democrats have used Medicare for All would not only popularize the issue, it would connect it to the bread-and-butter issues of jobs and wages. Realistically, however, neither Democrats nor any other politician is going to start mimicking Ocasio-Cortez until they’re forced to. Obama only became a champion of immigrant rights after years of activist pressure. John F. Kennedy and Lyndon Johnson didn’t prioritize civil rights legislation out of the goodness of their hearts; they did it because a mass movement of activists made them. Franklin Roosevelt’s New Deal came after and during waves of public protest and labor militancy. And Abraham Lincoln owed his best remembered achievements to pressure by the abolitionists, a radical, uncompromising movement that not only took on the most powerful moneyed interests in the country, but demanded a drastic transformation in the bedrock of its economy and way of life. Whether the Democrats come to political ascendency this year or even 2020, the question won’t just be what they choose to do; it’s what they can be made to do.